Some readers of this blog post are waiting for me to pronounce judgment on emerging/emergent after listening to one two-and-a-half hour panel discussion. So let me get this out of the way: I came away from the AAR session on this subject identifying myself as emerging, if not emergent, but also as someone who might even be willing to add that little “Friend of Emergent Village” logo to my blog. I can use all the friends I can get, can’t you? This was a great opportunity for me because the subject of emergent comes up so frequently in conversations. My uncle is writing a book denouncing emergent (do we need another? ), which he talks to my father about, which my father talks to me about. My Calvary Chapel friends ask me about it. Just yesterday I heard that a musician who has co-written a book on Emerging Worship has been canceled from at least one big Calvary Chapel event because of his book. I find myself defending something I don’t thoroughly understand, simply because I am so well acquainted with the thinking that reflexively denouonces it. The irony here, of course, is that some of the denouncers were, in fact, a previous generation’s emergers. Scot McKnight, Tony Jones, and Diana Butler Bass did a great job of clearing the fog. Jones will be posting a podcast of the session on Emergent Village. Listening to the session yourself is obviously the best way to evaluate it. In the meantime, I will do my best to summarize what I heard. I must confess, however, that my notes on this session weren’t as good as I had thought. Jones said that Leadership Network discovered Bill Hybels and Rick Warren in the mid-1980s. Their ministries resonated with Boomers who were coming back to church, but that the GenXers were leaving church and not coming back. When his band of peers was trying to determine how to reach out to the this group in the late 1990s, there was an immediate rift in the group. Half wanted to make the gospel relavent, while the other half was reconsidering the gospel in America altogether. This half was interested in epistemology rather than relevance, and founded emergent. Butler Bass came to emergent by a different path. She said she knew, and broke, all the rules of the evangelical subculture, having graduated from Westmont College in Santa Barbara, CA, and later having been fired from an evangelical institution of higher eduction. In 2000, she received a Lilly Foundation grant to study examples of vitality in mainline churches, one of which she attends. I believe she said she shared a publisher with Brian McLaren, and was told by her editor that she and McLaren should meet because they were “writing the same book.” I’m not sure which of his books this was, but they met and talked for 4+ hours and, indeed, found parallels in their work. She mentioned reaching back to the past in order to move forward, and defined emerging as a larger reworking of things—a set of patterns of cultural change—that transcends religious groups and even religions. There is emerging Judaism, Islam, Catholicism, etc. She asked: What is it emerging from and what is it emerging toward? Scot McKnight first encountered Brian McLaren when McLaren spoke at the institution where McKnight was teaching. He thought McLaren was “thoroughly boring and uninteresting.” But then, a magazine editor suggested to him that he might enjoy blogging (Mark, was that you?). Nothing much happened until he blogged about the book gallies of a D.A. Carson work that he said picked on one dimension of emergent. Jesus Creed took off, much to Scot’s dismay. He said he started following emergent because of the blog and woke up one day to discover that he was a part of a movement with which he doesn’t always agree. Even so, they welcomed him with open arms, which he thought was pretty cool. After the introductions, a discussion ensued that was intermittently about faddishness vs. substance. McKnight, who described himself as a linear-thinking modernist, compared emergents to a blue parakeet that invaded the turf of his backyard sparrows. The sparrows were thrown into a frenzy by its presence. McKnight said the emergents are asking questions the traditional church doesn’t want to hear. He also identified emerging as a phenomenon, and emergent as a dimension of it. What kind of truth can be found in Scripture? The fifth question is about a moral critique of the Bible. eg. Why is Jeptha heroized in Hebrews 11? The sixth had to do with what he called “social location”—a chastened epistemology that doesn’t seek a universal theology, but is sensitive to cultural context. McKnight thinks, as do I, that the church should be a safe place for asking questions rather than a place that locks them out. He later coined the term “ironic faith” to describe the generation of students he encounters. Because their environment does not allow for questions, they live with ambiguity, ambivalence, and, consequently, anger. He said genuine conversation lets kids explore answers. Butler Bass responded that there was not one question on McKnight’s list that she wasn’t asking in the 1970s. She’s asking different questions now. For example, she told the story of visiting the Seattle church where Rev. Ann Holmes Redding has embraced a dual Christian/Muslim identity. Butler Bass was there for what sounded like a beautiful baptism service on the same weekend that she spoke at an emergent event. She compared these experiences and concluded that orthopraxy centers both groups. Both are interested in transformation re. people, institutions, and cultures. With transformation comes tension. The Seattle church is wrestling with the implications of Holmes Reddings’ choice and the questions it raises about identity, meaning and spiritual practice. There followed a debate between Jones and Butler Bass of an event at the National Cathedral at which Marcus Borg reportedly said that if he had to bet his last dollar or his life as to whether or not the tomb of Christ was empty, he would have to say that either the tomb was empty or there was no tomb. Jones derided this statement, saying it is no stretch for him to believe that God can defy the laws of physics. Butler Bass took exception to his characterization of what Borg had said, stating that Jones and others had missed the essential sentence, in which Borg affirmed his faith. Jones said he thought Borg and John Piper are guilty of the same sin (my language, not his), which is wanting an airtight Christianity. They come at it differently, but both expressions are functions of the Modern enterprise. He said emergents have no interest in either expression; they are comfortable with paradox, uncomfortable with liberal answers and unwilling to say that the Bible is not inspired. Here, in my opinion, is where the immaturity shows up, esp. because he later said all kinds of people are asking to join emergent. Who decides? Him, a board? Is it arbitrary or bureaucratic? In the Q&A, a sharp young female Episcopal priest from the Diocese of Los Angeles asked him how emergents deal with issues of accountability and the protection of children from sexual abuse. I recall that his answer to this question was both disappointing and naive. All I have in my notes is that he said his church has procedures for dealing with such things, and added something about trusting the “other” to be open to talking about their sin. I’d love to hear something more substantive on this topic. It was in the context of the conversation about faddishness vs. substance that the Theology of the Couch came up. Jones said that what appears to be faddish within emergent is often reflective of theological reasoning, eg. why Solomon’s Porch has couches rather than pews. It has to do with wanting to foster interaction between congregants. I’m embarrassed to say my notes are sparser on this point than I had thought. I recall something about what we do with our bodies being important, and the way pews orient people in the worship experience. Jones said it is much easier to innovate than to reform existing communities. When making decisions about what to purchase for a sanctuary, for example, why not think theologically and innovatively about it? Personally, I have never had difficulty engaging a neighbor in the pew, but my home church, which is Baptist, arranges the sanctuary chairs into a u-shape that surrounds the Communion table for its Thanksgiving eve service. There is music and preaching, followed by testimony and corporate communion around the table. Facing one another in worship and sharing our stories like this is one of my favorite events, so I get the thinking behind the couches at Solomon’s Porch. How we orient ourselves in church has meaning. It says something that these leaders care about this. More importantly, the example highlights the importance of being gracious and giving our fellow pilgrims the benefit of the doubt as they thoughtfully live out their faith and calling. My notes on this section conclude with an excellent point made by Jones. He said that theology has always been a conversation. He talked about contextualization (an idea that N.T. Wright, unfortunately, derided in his lecture), and said the gospel has always been fully incarnated in a cultural context, which is true. Becky Garrison from the Wittenberg Door was in attendance, and mentioned Tall Skinny Kiwi as a chronicler of what is going on with emergent. Most readers probably already knew this; I only knew that the blog is popular. In response to a question that I didn’t write down, Jones said that emergents are not trying to convert other Christians to their way of thinking, but that for a lot of people, emergent is their last shot at organized Christianity. He talked about sharing a meal with Tony Campolo at which Campolo had advised him to resist the pressure to emerge into something because that’s when Jones will start “working for the man.” Campolo advised him to keep pushing the boundaries for as long as he can. Now, this statement gets at what I grapple with re. emergent. I’ve lived organic innovation 30 years down the road, and have been flattened by what organic can morph into when it, in fact, becomes institutionalized, while simultaneously denouncing bureaucracy. I think Campolo sounds a wise warning. Ten years of deconstructing a philosophical framework that has dominated Christian thought for a couple hundred years is not a long time. They could keep on questioning indefinitely, although I suspect such an endeavor would eventually wear most people out. However, it seems to me—as both a writer and book editor acquainted with the tensions between markets, thinkers, and publishers—that the emergents are already “answering to the man” to some degree, at least the ones who are published authors, conference organizers, speakers, etc. Do they have their own t-shirts yet? So, while I gladly embrace the idea of an emerging faith, I think emergent’s day will, like so many others, pass, and its leaders will have to figure out what it means to hold a moment in their hands that was unique to their time. I, for one, am grateful for the emergent contribution and for the rigorous critique of it. The conversation assures me that our faith is both vital and dynamic. Thanks for the reflection – like you I am new to the emerging/emergent discussion and while I like what I see I find myself concerned at some points. So like others, who you heard speak, I want to have a foot in each camp. Your comment about emergents are now working for the man seem to me to be the most worrisome. I am concerned about consumerism and faddishness in worship and wonder if we are seeing this in styles of churches. I look forward to further posts on SBL. It’s a tough balance being both open and discerning. I will post the Tavis Smiley session tomorrow, and then the N.T. Wright session on Friday. Okay, this is how fried my brain is after AAR and then a trip to LA yesterday. I thought today was Tuesday. There will be no blog post tomorrow, but on Friday/Saturday. There is a new group of “Congregational Scholarship” in which pastors are encouraging each other to write both scholarly articles and engage in the publications and conferences of Biblical research and to publish “Sermons” and “Sermonic exegesis” as well. Let me encourage all of the Emerging Church movment to take this opportunity to help wed back the Academy and the local congregation no matter whether it meets on pew or in pub. Thanks Pandora, and welcome. I hope you had as much fun in San Diego as I did. This is where I am: “I find myself defending something I don’t thoroughly understand, simply because I am so well acquainted with the thinking that reflexively denouonces it.” IMHO, a lot of it has to do with fear and control for those that, as you say, reflexively denounce it. And fear is no way to live. I appreciate “emergent” as conversation . . . finally it’s okay somewhere to ask the questions I’ve been wanting to ask for years. And God seems big enough to handle them – my faith is strengthened, not shaken. Thanks Dianne and welcome. 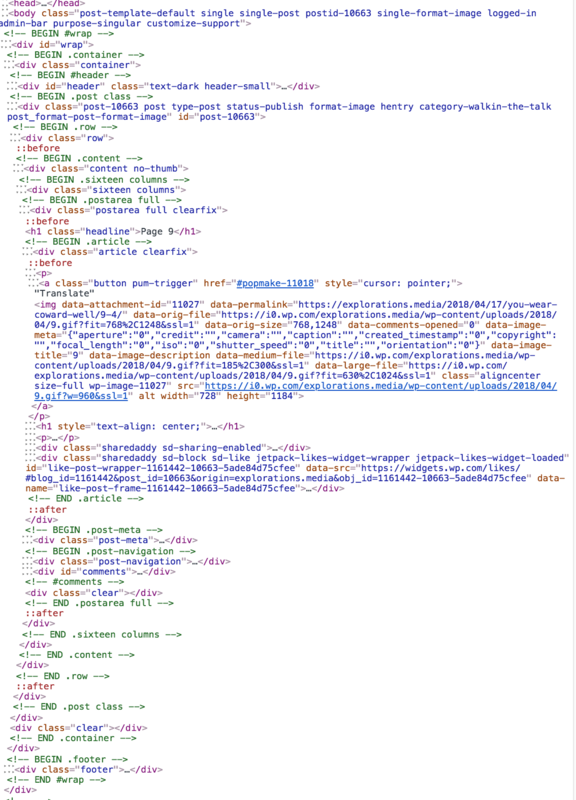 Your website is so lovely and inviting. When I actually wake up, I’ll take a stroll around! I came across your blog in my travels through blogland and I so appreciate your refreshing and informative approach. I grew up in the church and made my faith my own through my 30’s but now I look around and I just don’t see where I fit in. Much of the evangelical church life reeks to me. I have heard dribs and drabs about this “emerging church”. My Mom keeps handing me those books denouncing it but I don’t really have an opinion because I am not close enough to it to be able to judge. I have a hard time digesting those books because I just don’t like the tone. What I do know is that when I am around a group of Christians I can tell when there is a true Spirit of Christ connecting them. It’s like the barriers are down and there is an openness. Whether or not they are sitting on pews or couches singing hymns or Kumbya is totally secondary. Thanks for the informative article. I will be checking in to hear more in the future. Ruth, Thanks for the kind words and welcome. Say hello again some time.